Since 1999 Martin Birrer Design GmbH has continuously designed and implemented projects in the fields of Exhibition, Interior and Graphic Design – three complementary and mutually inspiring design disciplines. Our team is composed in accordance with these three core competencies. We see our work as teamwork. We develop versatile projects with much enthusiasm in dialogue with our clients. For complex tasks, we expand our team using external specialists and professionals from different professions in order to develop holistic and interdisciplinary projects. This collaboration enables us to cope with greater responsibilities and focus on responding to the needs of our customers. As CEO Martin Birrer is responsible for, among other things, the content and strategic direction of Martin Birrer Design GmbH. With years of experience in all aspects of project issues, his focus is on the conception, project and business management. After training as an interior designer at the University of Applied Sciences, Basel, Martin Birrer worked for several years at Studio Pignatelli Design Studio AG (Zurich) and at Bally Design inc. (Pittsburgh, USA). In 1999 he founded his own company. Since then Martin Birrer Design has worked on projects in the fields of interior design, exhibition design and graphic design . He has also lectured in scenography at the University of the Arts Bern (HKB), and Lucerne University of Applied Sciences and Arts (HSLU). Since January 2018 Nadja Schaffer has worked for Martin Birrer Design as a project manager in the fields of scenography and interior design. She supervises projects from conception to implementation. After completing an apprenticeship as a structural engineering draughtswoman, she studied interior design at the Haute école d'art et de design (Head) in Geneva and then worked for two years as an interior designer in an architectural office. Afterwards she graduated from the Masterstudio at the HGK / FHNW with a major in scenography. Parallel to her studies, she also gained experience in the field of stage design. After completing her master's degree, she worked in various scenography offices in Basel and designed and realized various exhibition projects and spatial installations. Since January 2015 Malvina Lubec has been working at Martin Birrer Design GmbH as a project manager with a focus on exhibition graphics. Her interests include the integration of graphics, branding, typography and new media in architecture and design. 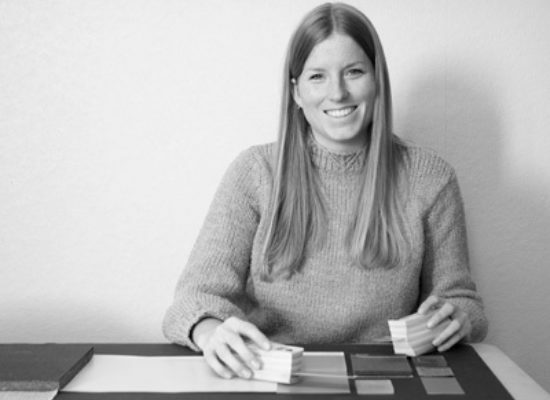 In this context, she is responsible for the design of visual elements in exhibitions, in particular for creating visual impressions and signage. After her Bachelor's degree in Ljubljana, she completed her Master's degree in Communication Design at the University of the Arts Bern. In 2011, she started her career as a graphic designer at Aparat.org in Ljubljana, Slovenia, and was responsible for the conception, planning and implementation of numerous print and web projects. Furthermore she worked as a freelancer in the fields of graphic design and type design in the Slovenian speaking regions. Since September 2018 Natascha Vögtli has been working as an intern at Martin Birrer Design GmbH. She supports the team in the conception and implementations in the field of scenography and interior design. After her general qualification for university entrance and a longer stay abroad she started studying architecture at the ETH Zurich. After three semesters she changed to the HGK FHNW in Basel, where she got her Bachelor in Interior Design and Scenography. During her half year internship at Sabine Hartl in Baden, she gained her first experiences in interior design.